Don't have your own gear? Don't sweat it! 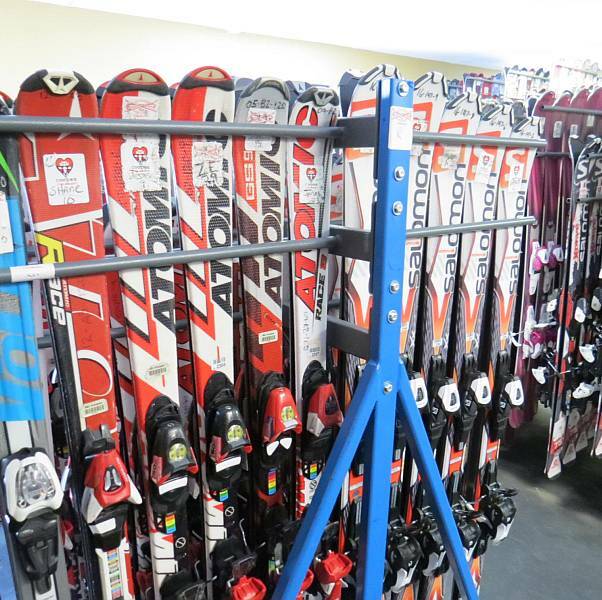 Cooper has you covered with our full-service Ski & Snowboard Rental Shop, conveniently located next to the base lodge. If you don’t have your own skis or snowboard, or just want to try something different, Cooper’s got you covered. We have one of the newest rental ski fleets in the region, with modern high-quality rental skis, snowboards, boots, and poles to make your skiing experience the best it can be! Our top-of-the-line boot drying racks ensure that your ski or snowboard boots are dry and comfy, and we have an amazing selection of equipment from basic gear for first-timers, to high-performance gear for experts. Cooper strongly encourages you to rent your gear right here at the mountain. Not only is it the easiest solution for you and the best way to get new high-quality gear at a great price, but it also ensures that you get the right fit. And if something doesn’t feel right, no problem! Just come on back in and we’ll fix you up! If you rent your gear offsite and then have a problem with it (and we’ve seen this way too many times! ), you’ll have to give up precious skiing time to drive all the way back to exchange it. That’s no fun at all. So rent right here, and we’ll set you up right! All rental packages include skis or snowboard, boots, and poles if applicable. Additional options, such as skis-only, boots-only, snowboard-only, helmets, poles, etc. are available at affordable rates. Inquire in-person, or give us a call at 800-707-6114 for more details.